No one expects to pass away suddenly, and most people don’t expect to pass away at the same time as their spouse. However, this can happen, and it can create estate planning confusion and frustration. Estate plans tend not to take the possibility of two people who have left everything to one another passing away at the same time, but what’s known as a simultaneous death clause in your planning documents can help lay out a clear plan for what loved ones should do next if this happens. The majority of people with intertwined estates are married couples, but other family members may have connections, too. If both these family members were to pass away at the same time, for example, in a car accident, then an event like this can make things extremely complicated for the surviving loved ones. A simultaneous death clause can help lay the groundwork for your estate planning in the event that both of you pass away at the same time. This is often used to avoid intestacy laws in New Jersey kicking in to determine where the assets will go, which removes the couple’s or family member’s desires from the equation. When there is no such clause in your documents, probate courts in New Jersey can treat this situation by dispersing assets as though each of the two spouses had died first. This means that the wife’s heirs will get her assets and the husband’s heirs will get here. Most people in New Jersey do not expect to die at the same time as their spouses. Therefore, estate plans may not take the possibility of simultaneous death into account. 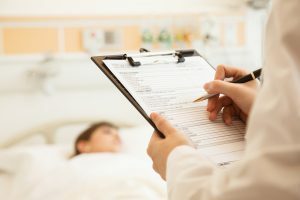 However, fatal car accidents and other tragedies can result in two family members dying at the same time, and these events may complicate the deceased parties’ estate plans. The couple or related family members, however, may have their own wishes. Working with an estate planning lawyer in New Jersey helps to cover all bases and ensure that your documents reflect your desires. While it may be impossible to predict the future, the more steps that you can take to protect yourself and your loved ones, the better. Most people approaching retirement age admit they have struggled with thinking ahead not just about life beyond their working years but also about how to make the money they’ve saved last during that time and to plan appropriately for it after they pass away. 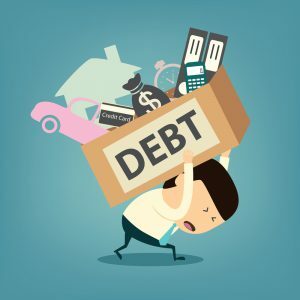 While a lot of information out there talks specifically about saving or how to maximize what you save, what about debt that you might be bringing into your golden years? Is there a particular way you should handle it? Did you know that the typical American couple has approximately $5,000 of retirement savings? However, debts are on the rise: studies show that debts have tripled since 2003 for those in their mid-60s. Many older Americans are picking up additional debt because they are refinancing their homes, adding on two or three decades worth of payments in the process. 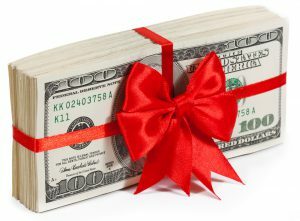 Others are taking cash out of a reverse mortgage. 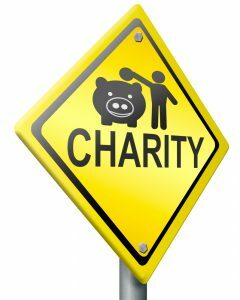 Sometimes this borrowing is done with the best of intentions, such as helping one of their children with the cost of a divorce, assisting a grandchild with a college education, or trying to enhance income after a job loss. With the downsizing that usually comes as part of this process, it can lead to a higher mortgage on the first house. Now more than ever older Americans are working longer to try and make ends meet so that they can cover a child’s advanced education. Even those not pursuing further education may be returning home for additional financial support. The refinance process that might seem like a quick fix for cash flow could even double the size of the original mortgage, though. Reverse mortgages are also picking up traction even with wealthy older individuals. The reverse mortgage seems like a way to enhance current income without having to delve into a retirement portfolio or a current income stream. 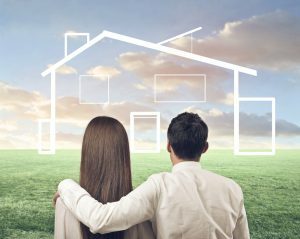 Reverse mortgages have very specific rules, however, and should not be taken out until you have had the chance to talk over all the pros and cons. Being aware of all your debts and being mindful of additional support you may need for healthcare needs is critical for anyone bringing debt into retirement. A team of professional advisors, including a financial advisor and your estate planning attorney, may be extremely helpful during this process. An estate plan usually begins with a will or a living trust. While a basic will is important for providing your instructions, it does not avoid probate. Any assets that are titled in your name or directed from your will have to go through the probate process before they can be distributed to your beneficiaries. 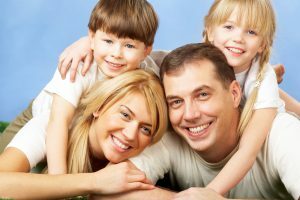 In the event that you own property in several different states your family will probably have multiple probate situations, each one aligned with the laws in that particular state. The process can vary tremendously from one state to another and it can become very expensive with executor fees, legal fees and court costs. It can also take anywhere from a couple of months to two years or longer. It can also be opened up to the public in certain situations. This is why it’s important to realize that the court system and not your family actually controls the process of your estate plan if you use only a basic will. Not everything that you do own will have to go through the probate process. Assets that allow you to name a beneficiary such as annuity or life insurance policy will be exempted from this as well as jointly owned property. However, there are many reasons to consider using a revocable living trust as this is a very popular option for many families and professionals. It helps to avoid the probate process at death and can even assist with multiple probates in the event that you own property in numerous states. It can also bring all of your assets together within one plan and give you a better shield of privacy. As longevity has been increasing and advances in medical technology may only continue that trend, it presents an estate planning challenge for anyone, but particularly wealthy families. The major reason for this is that it can be challenging to determine when and how to pass on assets to beneficiaries so that those individuals can begin managing those assets on their own. Now more than ever, long-term care is a concern for people approaching retirement age and beyond. With good health, a person may lived ten or twenty years beyond their retirement age. 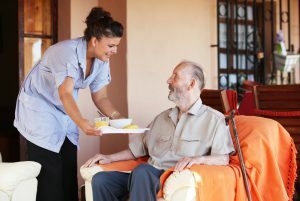 One long-term care event, however, could threaten assets significantly if recovering from that event requires assisted living or a nursing home. It’s not just about potential physical or mental ailments, either. 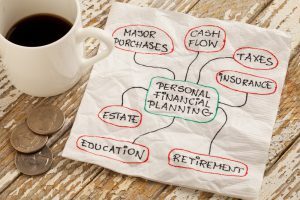 While those certainly can present obstacles without proper estate planning techniques, there’s also the fact that someone entering retirement or moving on to the next phase of their life might not want to be responsible for asset management anymore. This presents an opportunity for beneficiaries to take over control of the assets while the grantor is still alive. At face value, this seems ideal, but there may also be side consequences, too. This is why it’s a good idea to sit down with your New Jersey estate planning attorney to discuss whether it makes sense to pass assets on now and to determine the best vehicle for doing so. 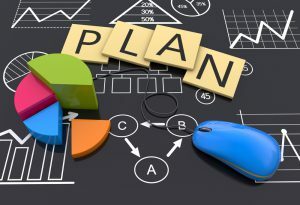 Planning now helps to minimize the chances of family disputes and can be better for everyone involved when done properly. Set up a consultation with an estate planning attorney today to learn more about how this can help you and your family. There’s been no shortage of celebrity estate planning blunders in recent years, illustrating that even wealth and celebrity are not protection enough when it comes to planning for the future. So what’s behind the massive estate tax bill? 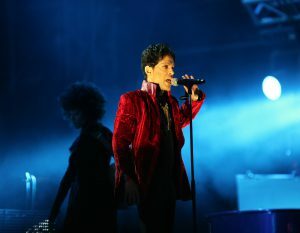 The Prince estate is coming up on their deadline to pay the estate taxes for the musical mogul, and it’s believed that up to half of the $200 million estate would be swallowed up immediately with a payment to Uncle Sam. One of the biggest reasons for this preventable tax situation is that Prince left no will and therefore did no planning ahead to shelter any of his assets from the government. Taking no action can be detrimental for any estate, but the stakes are higher for anyone with substantial assets like Prince. When he passed away, the estate became subject to Minnesota’s 16 percent state tax and a federal tax rate of 40 percent. Adding in deductions and exclusions, the federal government’s cut will likely be closer to 50 percent of the total estate value. While the size of Prince’s estate certainly makes the issues much more serious in this case, it’s a good example of the value of estate planning for anyone. Taking no action at all can prove catastrophic and add further grief and frustration for your loved ones. There’s a good chance you have plans and ideas for your estate but that you also want to minimize any challenges your loved ones experience, too. Thankfully, action steps now can make things easier for everyone in the future. 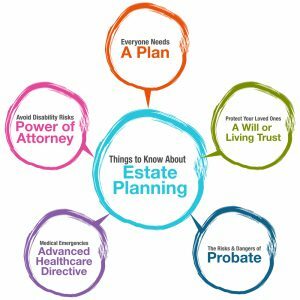 Contact an experienced estate planning lawyer in New Jersey to talk further about strategies that you can use to minimize taxes and make the administration of your estate easier on loved ones. How Long Has It Been Since You Looked at Your Estate Plan? Beyond never beginning the estate planning process, the second most common mistake that individuals make is thinking that estate planning is something that can be completed only once. Many people believe that if they generated an estate plan 10 or 20 years ago, they are all set for the remainder of their life. However, assets and family relationships are subject to change and that’s to say nothing of shifting estate planning rules. In the wake of a new president-elect calling for significant changes in the estate tax process and procedures, it’s important to remember that networking with an attorney also gives you an overview of what to expect when regulations or laws are changing down the road. This could significantly compromise any estate planning documents or strategies you have aligned in the past so it’s a good idea to already have a relationship with someone who is familiar with the landscape and can help you adjust as necessary. There are many different situations in which it’s a good idea to dust off your estate planning and revise it as changes in your life are made. 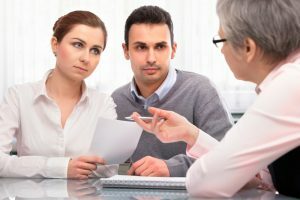 The birth of a new child, a marriage or a divorce are all significant reasons that you should consider consulting with an estate planning attorney. Meeting with an experienced business succession planning attorney can help you overcome what’s known as decision inertia. Meeting with a professional who has assisted others with a business succession planning process can minimize the uncertainty that may exist when it comes to thinking about your future. Helping you determine the desire for passing on the business can generate some difficult questions but also some important ones. 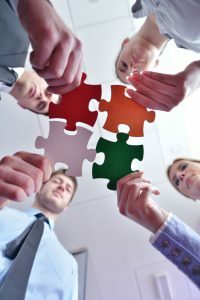 Many small businesses today struggle to create a comprehensive framework for developing their staff and yet this can be critically important in the perspective of business succession planning. Although you might be thinking traditionally about who will take over the business, it is equally important to understand how you will help develop and train the current staff that you have so that they can step into management roles. Thinking about who will play these key roles down the road can be extremely beneficial for the firm as well as it minimizes confusion and uncertainty in the event that you have to suddenly exit. Remember that business succession planning is not something that comes into play only when you pass away or sell the business. It could also come into play in a situation in which you are disabled and suddenly need to exit the business. This is why there are so many benefits to conducting your business succession planning now. Many people cannot anticipate accidents or disabilities that will have a significant influence on their personal as well as their professional life. Having a business succession plan that identifies talent now and works to help people grow into roles can be extremely beneficial. Is Revising an Estate Plan One of Your New Year’s Goals? Most people fall off the habit train for their resolutions pretty quickly, but you can buck that trend by putting in a call to an estate planning lawyer now. If it’s been some time since you sat down with an attorney to walk through your needs, the new year is a great time to recap the changes in your life and determine whether old strategies are still helping you accomplish your goals. One of the most common reasons you’d need to update an estate plan is due to changes in your family. This could be in the form of marriage, the birth of a new child or grandchild, or divorce. As those changes occur, you need to make sure that your documents are in line with the updates in your life. 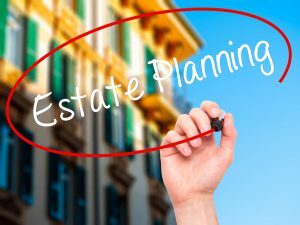 An estate planning lawyer can help you walk through what you need and how well your current plan is performing with your strategies. If updates are needed, or documents need to be created entirely, your lawyer can help point you in the right direction. In order to make sure you get the updates to your estate planning done, contact a lawyer today to make an appointment. Getting it set up now can help you clarify your needs and gives you a better chance of accomplishing the goal. Bring any current documents with you to the meeting. 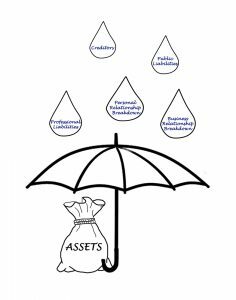 It’s also helpful to have an inventory of any assets and liabilities, too. 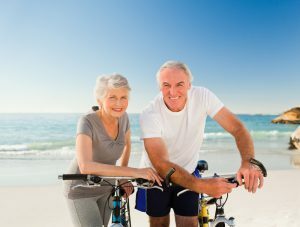 A new study indicates that not much has changed in the landscape of retirement and estate planning ; these are major issues that a lot of boomers are struggling with. While there’s a general recognition that both processes are valuable, a lack of action can put pre-retirees and retirees at risk of major problems. These outcomes are from Hearts & Wallets, a data firm that seeks to explore how investors make decisions. In their yearly survey, the organization looked at more than 5,000 adults classified as “late-career” (those between 53 and 64) and individuals who plan to retire within the next several years. While most survey respondents were somewhat confounded by the most appropriate response to retirement planning, estate planning was a tricky subject, too for both retirees and pre-retirees. Estate planning was an area in which individuals were more likely to become overwhelmed. For all the respondents, 26% said that estate planning was very difficult or somewhat difficult. Along with that, however, less than 10% of those same individuals actually reached out to get help with their estate planning. While the prospect of getting your affairs in order, whether it’s for your own retirement or for estate planning purposes, can seem overwhelming, there are also major benefits to getting it done and forming a relationship with experienced professionals in this area. Finding the right lawyer, for example, can clear up most of your estate planning questions pretty quickly. Don’t let your family be the ones trying to answer difficult questions or navigate the probate process on their own- get these concerns addressed upfront by setting up a meeting with a New Jersey estate planning lawyer. Your estate plan should be a living document, and there’s a good chance that it will evolve as you add and remove strategies going forward. As laws change or as the makeup of your family changes, the tactics and documents previously created may no longer apply. 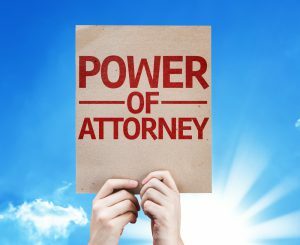 Injury or Illness: Whether it’s a family member getting sick and you need to help them revise their plan or whether you’re concerned about your own health, having a power of attorney is strongly recommended. Your lawyer can help you determine what is most appropriate for your situation. Divorce: Getting a divorce presents numerous changes in your life. Since your former spouse was probably linked to all your prior documents and plans, you need to have a sit -down with your estate planning attorney to walk through updates. Don’t make the mistake of assuming that since these plans were set up once that they are still fine. Marriage: As with any family change, marriage represents a lot of financial and legal differences, too. Ensure that your estate plan is in line with your new spouse and any children. This becomes even more important if you’re getting remarried. 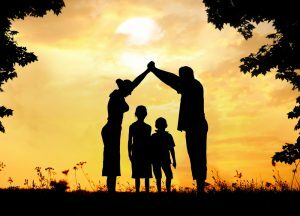 Adoption of or birth of children: The birth or adoption of a child is an opportunity to revisit your estate plan. If you were childless before, there’s a solid chance your estate plan needs an overhaul. Make sure that you put in a call to your estate planning attorney as soon as possible so that you can update these important materials. If you see change on the horizon in 2017, such as a marriage or the birth of a new child, take the necessary steps to have a conversation about your estate plan before it happens.